▒ Gave zaterdagavonddansplaat uit begin juli 2018 van de DJ & producer: "Paul Fisher" !!! Vet 5 sterren ☺!!! Ja - das finde ich cool. Hat irgendwie einen geilen Beat. Ben geen grote fan van dansmuziek, maar dit nummer is echt verslavend....<br>5 sterren zijn terecht! Monoton, ich verstehe den Hype nicht. Na, den Beat finde ich aber auch einigermaßen deftig und feurig, da werde ich ganz heiß. Um das Feuer vollends zum Entfachen zu bringen, hätte ich mir aber als Brandbeschleuniger auch den einen oder anderen spannenderen Vocal-Beitrag oder Stilwechsel gewünscht, dann wäre die Wertung auch noch hotter ausgefallen.<br><br>Starke 4. Voor mij persoonlijk 1 van de beste dance tracks van het moment. Ik heb dit nummer pas heel laat leren kennen, en daar heb ik spijt van! Geniaal en uiterst dansbaar. Simplistic is definitely apt, and certainly of all the songs I've heard that go for this style this does it quite well. Not huge on it but it's always a good listen. I think a lot of people reach a level of disillusionment with what becomes popular with a large audience. The more they're initially attuned to this, the more severe this will become because that will be likely continue to be exposed to content through the same avenues. They might not check out immediately because there will always be alternatives that bubble up because severe disillusionment is a viable demographic.<br><br>What I'm saying here shouldn't really come as a shock. Especially now in an era of content consumption where time rather than money rules the roost, you're going to have the non-working youth considerably outweighing their capita, and so it's not surprising if content creators will tailor to this larger audience. I watch a lot of stuff on YouTube, but the people I watch rarely have more than a million subscribers. There are ridiculously more popular people even in the same field, but I can hardly ever vibe with their content. I don't hold it against them though (usually), because it's really easy to avoid things that aren't for you.<br><br>Consider this. Do you know what YouTube Rewind is? If you do, have you at all encountered it, and was it of your own volition? I am very skeptical of anyone who can say that it was forced upon them. And yet, at the time of writing it is by a considerable margin the most disliked video on the platform, and through lack of many other avenues, the most quantifiably disliked content on the internet period. I am not here to defend it because I can't pretend there aren't problems with it. But it's hard to pretend that this disillusionment doesn't contribute significantly to the reaction. This is from the sorts of people who due to severe overexposure, treat their disdain for things like Fortnite or "Baby Shark" as a personality trait, even if it's not even supposed to be marketed to them. It's not always overexposure though, because there's the additional subset of people who are checked out of popular culture and thus only occasionally are exposed and get a warped confusion. Often it can be like watching a 5 minute segment in the middle of a long running TV show and expecting to understand why it's so popular.<br><br>At the same time though, I feel as though there's a growing sentiment where through this disillusionment, people take their anger out on the platform that propogates it. If a corporate entity is in any way propogating anything that makes you feel old, they become your sworn enemy. Rather than just ignoring it, it becomes a game. Who can be the first to post that Principal Skinner screenshot about how the children are wrong, completely divorced from the original irony which makes the quote so brilliant in the first place.<br><br>I see a lot of this go towards triple j, as a combined result of it being my nation's only fully national radio station, and one which is perennially aimed at capturing the imagination of the youth. They've consistently done this by championing new artists, new sounds & new approaches. In the '90s that meant playing a lot of grunge & hard rock that while being commercially viable, was not often as readily received by commercial counterparts. These were the sounds of the youth of that time, and the station would continue to expand greatly in audience reach capitalising on it. I don't think it takes much explanation to see what happens next. The '90s were a long time ago. If you were a teenager in the '90s, you're either in, or very much closing in on your 40s now. This is not at all an attack on people who are honestly not that much older than me, but a reflection of reality: these people are not the nation's youth anymore, and should not be surprised at how disconnected they've become. Yet they are, and the perennial sport to 'own the j's (or more specifically their social media team who face the majority of it)' with the endless spiral of hot takes about how the Hottest 100 was a million times better 20 years ago when it was mostly rock music. About how they should definitely make space on the air for a band of bigoted abusers because they remember a time when 'it was about the music'.<br><br>I'm not here to lash out at them though, but rather offer a seed of reflection. It's a realisation I only made very recently and it's put a lot of perspective into things I wish I knew sooner. The reason that things can so quickly, so sharply turn from very good to very bad is the result of very precise needle turns far away from the point that you actually see the results. What I'm saying here is that people enjoy things for different reasons, and if they latch onto even the smallest thing which you might not be inclined to, they are not going to bridge you along with only a slight derailment. They will seemingly go out of their way to go as far off the deep end as you might imagine and then some.<br><br>Have you ever noticed how often a really popular song comes along and people decry that it is the absolute worst thing ever and it shouldn't be #1000 in the charts but somehow it's #1. The reason you think that is the very reason it's so big. I don't mean that people are listening to it purely to spite you, but because they have ever so slightly different motivations, they will lean in heavily to the most extreme example of what defiles your perception of what music can be. You often see it (and I've been guilty of it in the past where an artist who goes to that extreme, then tones it down for the follow up, and all of a sudden the people who loathed the big hit chime in with an 'this is actually alright' or something along those lines followed by a 'why isn't this anywhere near as popular as that other thing'. The fact that their enthusiasm is lukewarm presents the answer. It is the songs that provide the most extreme highs and lows that rise to the top because no one is rushing to hear something that doesn't provide that same sort of thrill.<br><br>This entire spiel leads me to FISHER. He is an Australian DJ who by all accounts of my exposure, sounds like the last sort of person I would want to interact with in my life (someone pointed out once that he sounds like a drunken caller on triple j during the Hottest 100 broadcast and I've been unable to shake that comparison). There's talk that he didn't even produce this song, but rather it was the handiwork of a ghost-producer with him taking all the credit. His whole rise has caused an uncontrollable amount of flabbergasting to those aforementioned people who are not in touch with 'the kids'. This was one of the biggest dance/club hits, nominated for a Grammy Award no less, all despite the glaring issue that you have no doubt realised, the song has only 3 words. Arguably more of an issue than that on the surface is that those 3 words lead into what sounds like the exact same drop 7 different times.<br><br>For a lot of people, their first real exposure to "Losing It" was when it was voted the 2nd most popular song of the year by triple j listeners. If not for a certain audio grab that was played on the radio some 10 minutes before it, it might have been the most controversial thing of the year to a lot of people, because not only was there a song which seemed so at odds with what they deem gets to constitute as music, but it was voted into a countdown by tens of thousands of people...all the way to #2. While it may sound absurd, I really think it pays again to mind what I said 2 paragraphs back. A lot of people do not listen to music in the hopes of making their parents happy that they're on the straight and narrow. They listen to music, hoping to get the most extreme rush of endorphins possible through whatever manages to pinpoint their interests most accordingly. It just so happens that in 2018, that came in the form of a mostly instrumental cut.<br><br>In all honesty just thinking of it now, it mostly reminds me of Timmy Trumpet's "Freaks": Another song by an Australian DJ which became very popular in spite (or perhaps because) of its very baseline premise. I find that the blaring horn that comes through the drop in "Losing It" sticks out in a similar way to "Freaks" and its instrumental hook. As "Freaks" had a proper vocal track, it was still conventional enough to get played widely on the radio and I don't think it caused a significant stir in the process. At the end of the day though, maybe for some people that was *too* conventional for their liking and they were after something more raw. Maybe it's obvious, but for many popular hit songs of the past, they're trading the same formula and coasting on that. It works, but it means that there's no shortage of other songs available which can provide a similar rush to these songs. On the other hand, you have all these different elements together, the buzzing siren, the subtle bass line, the two different sets of intensifying drum beats that lead into the drop around the 3 minute mark, and just a sheer injection of adrenaline that never stops until the song finishes. 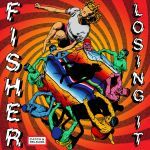 I can think of no other song that pushes the same buttons for me as "Losing It" by FISHER.